Located 45 minutes from Auckland International Airport, or 50 minutes south of the Auckland CBD. Pukekohe is 15 kilometres away while Castaway Restaurant at Karioitahi Beach is an easy 10-minutes drive for a west coast sunset. 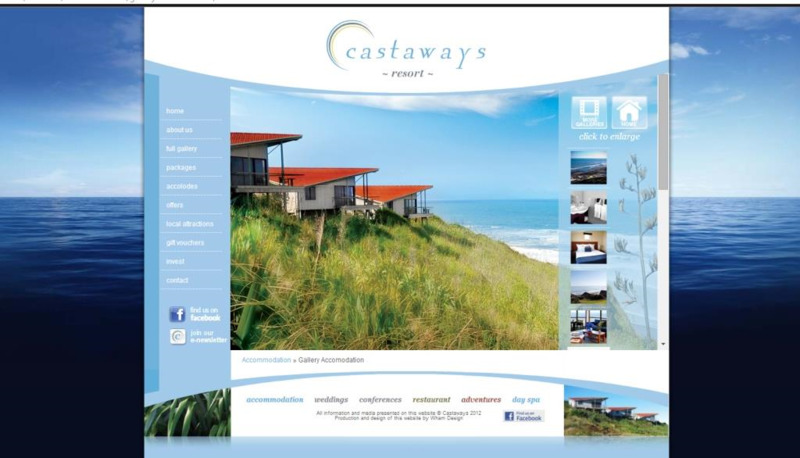 Situated on the spectacular coastal cliff tops of Karioitahi Beach Auckland, Castaways is perfect for an overnight escape, a truly beautiful wedding location, a distraction free conferencing option as well as a-la-carte dining and all of this within 50 minutes from the Auckland CBD and airports and 90 minutes from Hamilton. New Zealand's oldest continuously licenced hotel. Built 1852. Tavern, restaurant and accommodation. Weddings and wedding receptions at the Portside. Camper van, tent sites and cabins On the beach plus a heated swimming pool . Golf course next door. Orua Bay Beach Motor Camp is nestled in the tranquillity of the countryside on the northern shore of the Awhitu Peninsula. Positioned on the waters edge, with panoramic views and stunning sunsets. No roads to cross to get to the beach, and no noisey over crowding. Perfect for families with little ones, or for anyone just looking for a relaxing get-away! The Bay is ideal for swimming, water skiing, boating, fishing and for that bare foot lazy stroll. Golf, tennis and bowls - 10 minutes away. Big Bay Holiday Park is located at the tip of the Awhitu Peninsula, 40km from Waiuku and only 75 minutes from Auckland International Airport. Farmstay / holiday with your horse on 700 acres. Full catering available. Guided rides available. Lots of tracks and open spaces for all levels. Horses are paddocked right outside the bunkhouse. Stunning views.